GROW YOUR OWN FRESH HERBS FAST! With the Capsule Terrariums - Fresh Oregano! 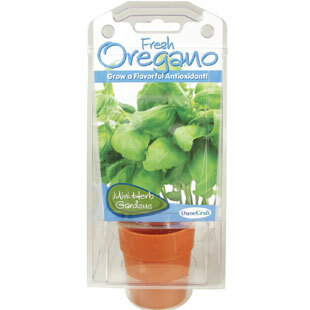 Grow your own Fresh Oregano -from windowsill to the dinner plate is just an arms length away- with many health-promoting properties. Oregano is an aromatic herb belonging to the mint family. It prefers a warm, dry climate with plenty of sunlight. Oregano is a rich source of vitamin K, which is an important part in cardiovascular and bone health.